The Foreign Service has attracted some very talented people over the years and many of those are the spouses of Foreign Service Officers. Julia Child is one notable example. Another is Phyllis Oakley, who was forced to resign from the Foreign Service when she got married, rejoined in the 1970s, and rose to become Assistant Secretary. 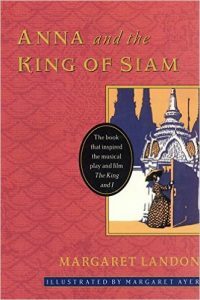 A lesser known example is Margaret Landon, whose book on a heretofore obscure Siamese king would — against all odds — become a smash movie and a beloved musical. Her spouse, Ken, joined the State Department in 1943, after they served as missionaries in Thailand. He became a political officer in the Bureau of Far Eastern Affairs, where he specialized in Southeast Asia. Their experiences in Siam, now Thailand, inspired Margaret to write a book based on the autobiography of Anna Leonowens, who served as governess to the many progeny of King Mongkut in the 1860s. After several years of research, Margaret’s book, Anna and the King of Siam, was published. The novel was soon brought to life on screen in a 1946 film of the same name that starred Irene Dunne as Anna and Rex Harrison as King Mongkut. In 1951, the first stage production of The King and I opened on Broadway. Adapted by famed duo Richard Rodgers and Oscar Hammerstein and featuring performances by Yul Brynner and Gertrude Lawrence, the musical, which premiered on March 29, 1951, was an immediate hit, winning the Tony Award for Best Musical. 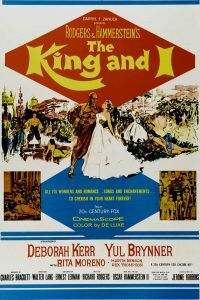 The success of the Broadway musical led to the release of a film version in 1956, with Brynner reprising his role as Mongkut and Deborah Kerr in the role of Anna. In this 1982 interview with Albert W. Atwood, Landon discusses their early years in Siam as missionaries and Margaret’s initial interest with Anna Leonowens, the series of chance encounters that inspired his wife during her research, and how the Queen of Thailand came to their house for dinner. You can also read about Landon’s experience with a king cobra and his newborn daughter and how he begged for stew in Vietnam. Check out this Moment about the visit of the Queen of Thailand’s visit to Neiman-Marcus as well as other Moments on Spouses and Children in the Foreign Service. LANDON: At Princeton my studies had included Semitic philology, Hebrew, and Greek. So I expected to become a missionary in the Middle East. At one time it seemed that Margaret, my wife, and I might be sent to a place called Hilla, which was on the road to Baghdad. But the only opening at the time was in Siam. The day before we landed in Bangkok [in 1928] on a little 90-ton steamer going up from Singapore, Margaret asked me to tell her all I knew about Siam. I said that I understood that most of the Thai people were twins. She thought that was interesting and asked for more information. I said they had a great many white elephants in the country and I was sure it must rain a lot as I had seen a picture of the king sitting under an umbrella built like a fountain with nine tiers. Aside from these observations I didn’t know a thing. I didn’t even know where we were going when we landed. Fortunately we were met and taken to a residence…. Both Margaret and I studied [Thai] three hours a day with a teacher and then spent another three hours studying for the next lesson. We learned the language thoroughly as we expected to work with people and knew we had to be able to converse with ease and without dictionary in hand. After six months I preached my first sermon in a Bangkok church, not without some consternation in the audience. An elder in the church came to me afterward and congratulated me on my sermon and with a kindly smile said that I had told him something new about Jesus that he had never heard before. I had said that Jesus was crucified on a pair of wooden pants. The words for cross and for pants were close in sound, and I had used the word for pants. I was as amused as the elder was. We discovered that the Thai language required an ear for tone, for music, as the meaning of a word or sound changed with the tone, whether it was high, low, even, rising or falling, or acute either high or low. It was common for a missionary to ask his servant for a tiger when what he wanted was his jacket. We discovered also that some 60% of the words were derived from Sanskrit or Pali, classic languages of India, and that the language was replete with terms derived from the Buddhist religion, which arrived centuries before via Ceylon and Burma. So I knew I would have to study India if I were to understand the people of Siam. I later studied both Sanskrit and Pali at the University of Chicago, where I took courses also on India…. As for Margaret, she was busy running a large household, having three children, and acting as principal of the Anugun School for Girls. She was a very effective educator and introduced a kind of primary education for Siamese children who were able to read in a very short time as compared to the length of time that it would take to learn to read in the public schools. They might be in a public school for two or three years before they could achieve the skills that Margaret achieved in about a year. This led the Minister of Education to come down from Bangkok to inspect Margaret’s program and methods….After we returned to the United States in 1937, I resigned from the mission for various reasons…. Margaret had excellent writing ability in college and could even write poetry, which she told me was only verse. This perplexed me as I didn’t understand poetry and couldn’t understand how anybody could write it. In fact, I viewed this ability with considerable awe. Her interest in writing was perhaps stimulated again years later when she noticed that I was spending some of our small income as missionaries in Siam on various publications of more political and societal nature than missionary…. 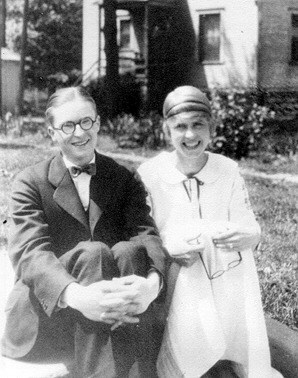 One day in 1929 or 1930, Margaret was visiting Dr. and Mrs. Edwin Bruce McDaniel, who lived across the peninsula from us in Nakhon Si Thammarat, where we had lived for a year after our one year in Bangkok language study. The doctor ran a hospital and a leper home. One morning when he and Mrs. McDaniel were preparing to go to work at the leper home, he handed her a book, The English Governess at the Siamese Court. He said he kept the book hidden behind other books in his bookcase because the Siamese people didn’t like it. They felt it was demeaning to their king because it made him seem as a fallible human being and not the divine incarnation of Siva they believed him to be. 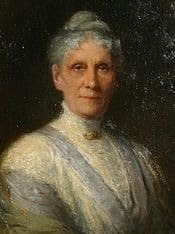 The book by Anna Leonowens (pictured in 1905) was written in the Victorian style of the 1860s and ‘70s and to many people would have been boring reading. But Margaret was carried away into another century and world and hardly noticed the passage of time until she had finished it. The next day Dr. McDaniel gave her a second book by Anna called Romance of the Harem. These two books remained a vivid memory to Margaret when we returned to the United States, and she determined to try to find copies and perhaps to write an essay about Anna. We were in a Chicago bookstore where I was selecting books on China for university studies when Margaret drifted into the out-of-print fiction section and found a copy of The English Governess for $1.50 and could hardly believe the price, as listings by English stores were in the neighborhood of five pounds. And then at Marshall Fields a book sale was held and on a table she found The Harem for 50 cents. So she felt she was on her way to writing an essay about Anna. Our lives have had many strange coincidences and one occurred when I was lecturing at Northwestern University to a clerical audience drawn from the greater Chicago area. In the audience was an Episcopalian clergyman named Dean Gerald C. Moore of the Evanston cathedral. So we went to see his mother, who proved to be 93 years old. Her mind was as lively as that of a young woman and she had many vivid memories of Anna dating from 1867. I asked if I might bring Margaret to meet her, saying that Margaret was writing an essay on Anna and would appreciate her clear memories of Anna as a living person. So Margaret and I returned shortly for a very happy tea conversation. And then a few months later we received an invitation to call again on the Moores to meet Miss Avis Fyshek, youngest granddaughter of Anna Leonowens, who came from Toronto for the only time in her life to visit the Moores. At that meeting they kept returning to the idea of Margaret’s essay on Anna, which had actually not yet gotten underway except in sketch form in Margaret’s mind and perhaps a little on paper…. The upshot of all this conversation was that Avis Fyshek told how she had tried to write the story of her grandmother and had almost 300 pages written before she realized that she didn’t know enough about Siam to write it. Later she came out to Wheaton, Illinois, where we were living, and brought with her a file of her own attempted biography, as well as a box crammed with letters from Anna Leonowens to the family members plus some holograph letters [documents written wholly in the handwriting of the person whose signature it bears] from King Mongkut to Anna, which no one outside of the family knew existed. She then proposed that Margaret and I collaborate on a book about her grandmother if we were interested and willing. I said that that was more Margaret’s line of writing than mine but that I would help in a support role in any way that might seem useful. Margaret and I both knew that a writer can’t write with someone looking over the writer’s shoulder with authority to modify, revise, or delete, and Margaret so informed Avis Fyshek. Fyshek not only turned over what materials she had but also graciously provided Margaret with a letter giving her a free hand. Also, she collected and sent further family material. While speaking of kings and queens I was reminded of King Prajadipok and his Queen Rambhai Barni, the King being the last absolute monarch in the Chakri line who officiated at the time of the 1932 coup d’état which limited the monarchy from that time on under diverse constitutions and military regimes…. 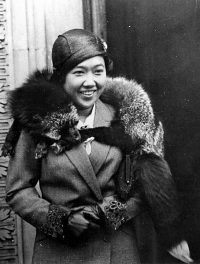 Queen Rambhai Barni (pictured in 1932) and many Thai were caught up in WWII, and the next time I encountered her was at the end of the war in 1946 in a New York hotel. She and a group of Thai students and diplomats were being repatriated, presumably to Thailand, although I was given to understand that if they chose to go elsewhere there would be no objection. So I was sent to New York to meet the group, which were settled into a wing of the hotel, with some American constraints pending further decisions. My job was not only to reassure them but also to find out where they wanted to go and when. I walked into their area in the hotel and found them gathered in a large sitting room reading and talking. They were all speaking in Thai, naturally. So I spoke up in Thai and asked if I might meet them for a brief discussion of their plans. The silence that struck that room made me feel that they thought I was the fox entering the chicken house. They were at first very suspicious until a couple of them and the Queen recognized me from pre-war times. Queen Rambhai Barni came to Washington and during her stay sent word to me that she would like to come to dinner at our house….One does not invite a queen to dinner, but royalty invites itself – and she was being not only royal but wanted to see something of that remarkable woman, Margaret Landon, who had written Anna and the King of Siam, which was already in a movie starring Rex Harrison and Irene Dunn. So we got the caterers and trimmed up the house for the dinner. We heard the cars bringing the Royal Family to dinner and hurried to open the front door. I had hardly opened the door when Prince Supawat, brother of the Queen, came bursting in with great enthusiasm. 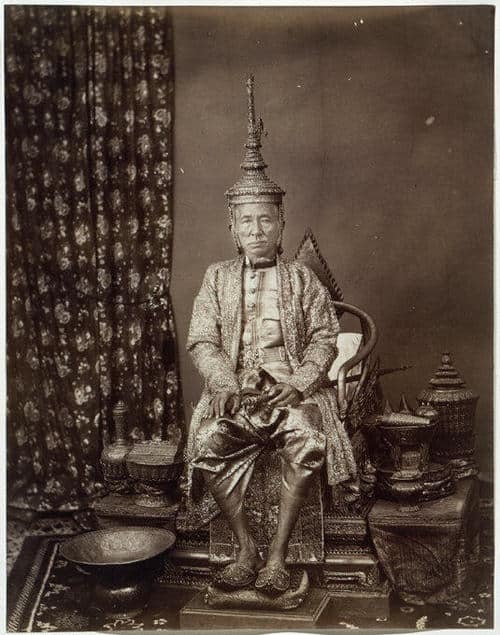 Upon seeing Margaret standing with me, he exclaimed, “I am one member of the Royal Family that likes your book, Anna and the King of Siam, about our famous King Mongkut. It is all true! I am a painter and I know that every picture has both sunshine and shadow!” He continued to congratulate Margaret on her book as his sister mounted our steep front stairs and came into our house more sedately.